UPDATED: Fri., May 18, 2018, 12:14 p.m.
WASHINGTON – The Trump administration is aiming to roll out its much-hyped but long-delayed Middle East peace plan next month amid signs it may further alienate the Palestinians by slashing millions of dollars in funding for humanitarian and development projects in the West Bank and Gaza. Five U.S. officials and a congressional aide say the administration intends to release the peace plan in mid- to late-June, shortly after the end of the Muslim holy month of Ramadan, although they cautioned that the timing could slip depending on developments in the region. They say the plan’s main authors – President Donald Trump’s son-in-law and senior adviser Jared Kushner and Trump’s special envoy for international negotiations Jason Greenblatt – have already begun quietly briefing select allies and partners on elements of the proposal. Yet any Palestinian willingness to even consider the plan would require conditions to improve and anger to subside considerably in the coming weeks, an unlikely scenario as the Palestinians say evidence of one-sided Trump giveaways to Israel continues to pile up. U.S. allies in Europe and the Persian Gulf also have felt compelled to criticize the administration for its approach. Ostensibly, Trump would need buy-in from those same countries to build enough momentum for any peace plan to succeed. 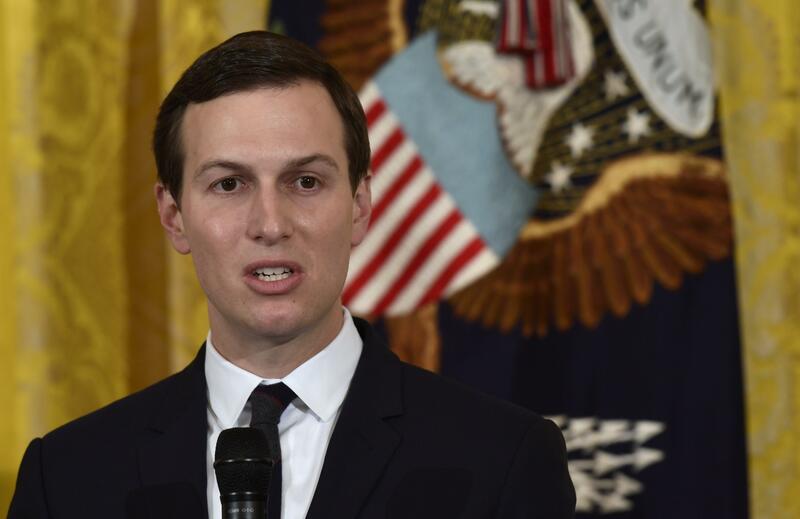 The administration has been resisting congressional demands to fully close the Palestine Liberation Organization office in Washington because Greenblatt and Kushner want to keep that channel open in case the Palestinians are open to re-entering negotiations with Israel based on the plan. The office was ordered closed by former Secretary of State Rex Tillerson last November, but has been allowed to stay open for limited purposes under the administration’s interpretation of the law requiring it to be shut down in the absence of peace talks. The prospect of Palestinian interest in the peace proposal appears dim, however, particularly since Palestinian leader Mahmoud Abbas recalled the mission’s chief earlier this week to protest Monday’s opening of the new U.S. Embassy in Jerusalem. The embassy move is said to have contributed to violent protests in Gaza that were met with deadly force from Israel. Nearly 60 Palestinians were killed Monday by Israeli forces, prompting condemnations and calls for restraint from Europe and elsewhere. The U.S. declined to join those calls and, while regretting the loss of life, opposed efforts at the U.N. to launch an international investigation into the violence. Trump’s recognition of Jerusalem as Israel’s capital, the embassy move and the administration’s unreserved defense of Israeli Prime Minister Benjamin Netanyahu’s policies have alienated and angered the Palestinian leadership, which accuses the administration of abandoning its role as a neutral arbiter in the conflict. Saeb Erekat, the chief Palestinian negotiator, said any deal needs to be between the Palestinians and Israel – not the United States. That sense of betrayal may deepen significantly this summer as millions of dollars in U.S. assistance to the Palestinians appears likely to be cut and the funds re-allocated to other regions. That money has been on hold since last year and existing funding for some projects will start to run out in just months if it is not approved in the next two weeks. If that does not happen, the State Department and the U.S. Agency for International Development will have to notify aid recipients that continued U.S. funding is not forthcoming and those programs will begin to be shut down. Local staffers would be laid off and U.S. officials running the projects would be reassigned elsewhere. Of $251 million in bilateral aid planned for the Palestinians in 2018, only $50.5 million has been reported spent, according to the government’s online tracker, www.foreignassistance.gov. The remaining more than $200 million is currently on hold, a figure that does not include an additional $65 million in frozen U.S. assistance to the U.N. Relief and Works Agency that provides services to Palestinians in the West Bank, Gaza, Jordan and Lebanon. The U.S. aid pays for programs on education, health, good governance and democracy promotion as well as disaster preparedness and security. For several months the White House has been sitting on State Department and USAID recommendations to spend at least some of the money, according to the officials. Three officials said there is no indication those recommendations will be acted upon any time soon despite appeals from lawmakers and even expressions of concern from Israel, which sees value in the assistance especially in the security sector. One official said there was “an overwhelming lack of urgency” about making a decision on the funding. The other two said there was no sign that the end-of-May timeframe would be met. At immediate risk are between five and 10 of the some 20 USAID projects in the West Bank and Gaza, along with proposed new initiatives, the officials said. Without a quick decision those will run out of money by the end of 2018, they said. Nearly all of the others will run out of money in early 2019 unless the money is unblocked, they said. Published: May 18, 2018, 12:11 p.m. Updated: May 18, 2018, 12:14 p.m.